Yesterday might have been one of the best days I have had in years. Mary flew in from CT and got finally meet Kim and the young’uns. It went more than well. Not only did we have fun family time but I also got my birthday present form Mary. I always look forward in getting/giving gifts to Mary. We never ask the other what they want because basically we just buy something we know that we like. It works on some wacky geek-like level. Mary outdid herself this year in getting the oversized DC Digest featuring Superman versus the Flash. I used to collect these as a kid and still will pick them up when I can find them on Ebay. Remarkable stuff. There is nothing like 1950s internal monologue. 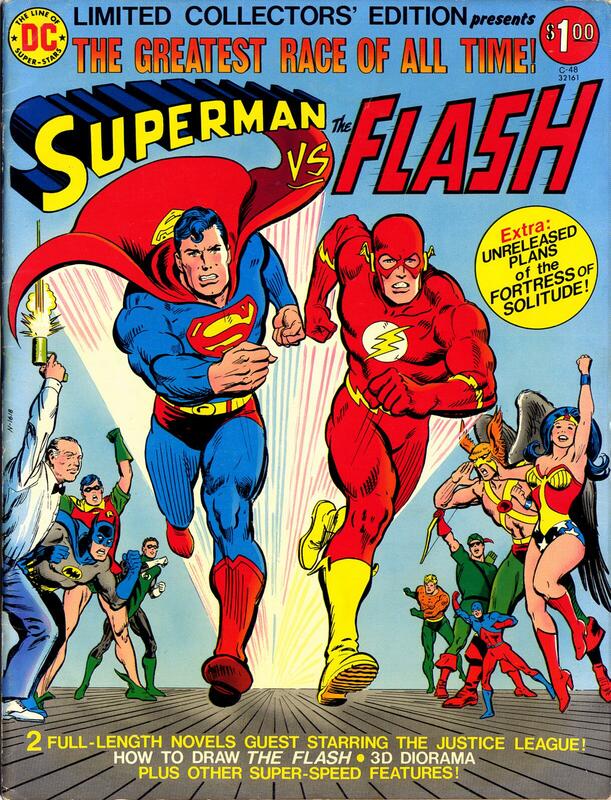 Sups v. Flash? Who wins? The reading audience.. So I was pretty nervous about Mary meeting Kim and the kids. On one level, I knew it would be fine but on the other Seinfeldian level, I was worries about how it can result when worlds collide. Watching the kids has made me realize just how much life repeats itself and usually not all that far from how it originally developed. Watching Ronnie took me back to how I used act when our Uncle Billy would fly in from California to spend Xmas with us. He was so cool and exotic, I had to follow him around because he was so interesting plus he enjoyed Star Wars which is always a plus to a 9 year old boy. In my world, we had much to discuss. Kim took Jude down to dock after dinner and she told me this story of how Jude wanted to guide her because he knew the way and it was Kim’s first trip. Along the way, Jude is pointing out little tidbits that he has been told and relaying them back to his mom. He proudly announced that he has decided the he’s the family’s guide to the river on Saturday when we all go crabbing off the dock and planned on getting us all there safely. I didn’t share this with Kim at the time. My man-ovaries were a little choked up from this adorable sentiment but as that ebbed away, I had a memory that I have not thought about in over 30 plus years. I was roughly about Jude’s age and loved going down to the river with my Dad and Pop just like Jude does. Somehow I made the conscious decision that I too, was going to be a salt water guide. I would usher all safely back and forth from the dock. 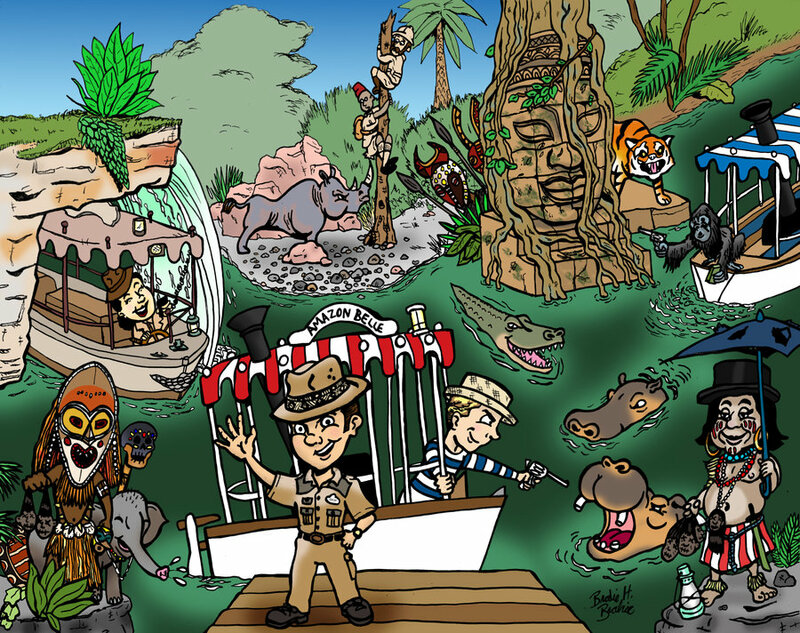 I also planned to include guided raft trips quite similar to the ones not unlike how I had experienced at the Jungle Cruise over at Walt Disney World earlier that year with my grandparents. 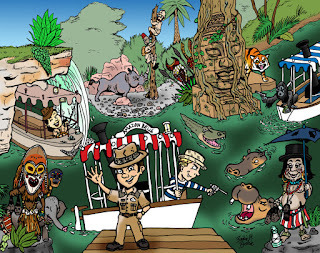 I remember I even went so far as to wear my Pop’s foreman’s hat because it looked just like a Safari hat. Using spare plywood and my red wagon for a frame, a raft-boat-car creation was crafted. It did not float but that is another story and one about how cool my grandfather was in helping keep me out of trouble. We like to consider ourselves as such unique and individualistic types of creatures but we really aren’t. From watching the students I teach, I began to catch on that trends really do repeat themselves. A lot of the same stuff sold at Spencer’s is exactly what I was buying when I was a kid like wacky shoe laces and sarcastic buttons/stickers. Now that I have children in my life that I actually watch learn and grow right in front of me, I begin to relate to just how many personal experiences also are on some external loop. Yet, rather than being boring, it seems to draw us together. Watching Jude and Ronnie makes me laugh and understand just how much fun they are having because I’ve been there before just with different people. For once, that is a rerun that I don’t mind watching again.